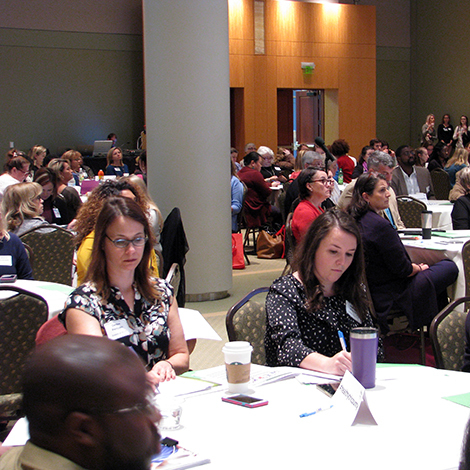 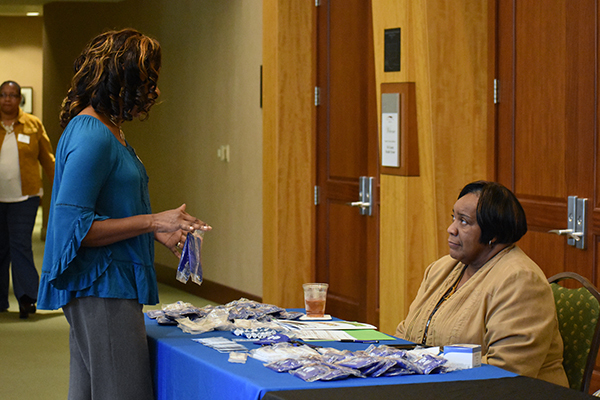 multi-sector regional initiative to improve health outcomes in Berkley, Charleston and Dorchester counties in South Carolina. 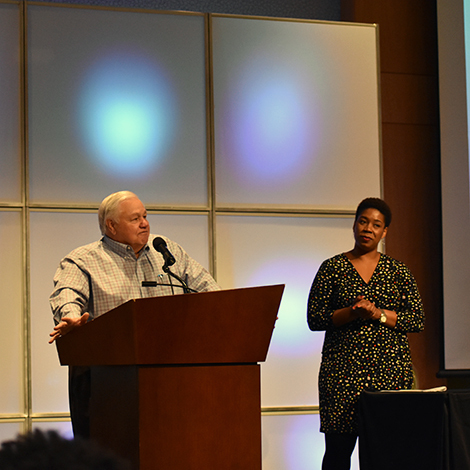 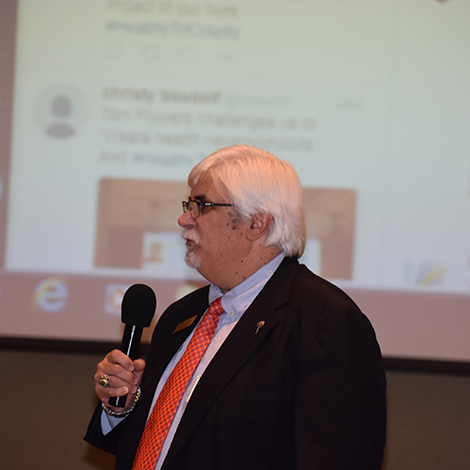 North Charleston Mayor Keith Summey welcomes attendees to the inaugural health symposium. 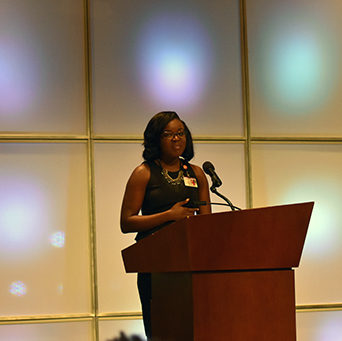 Roper St. Francis's Kimberley Butler-Willis introduces the first plenary speaker of the morning, Forrest Alton. 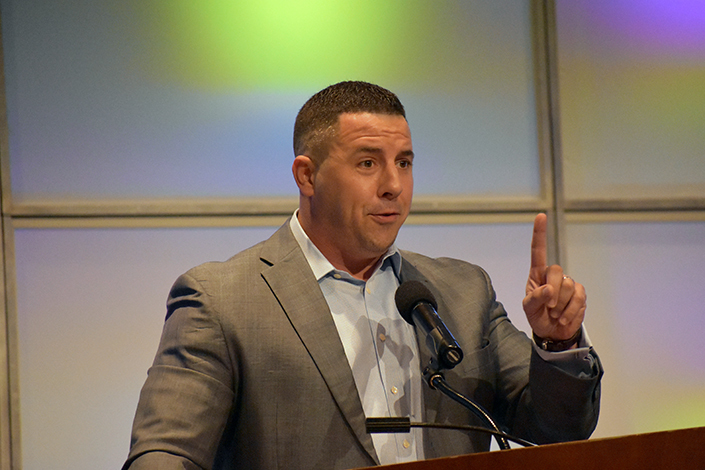 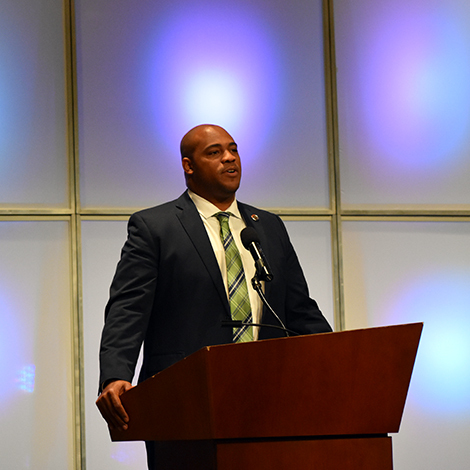 1,000 Feathers President Forrest Alton inspired the Tri-County region to "look for the unicorns" and find the energy and collaboration that our community has shown after tragedy (hurricanes, AME Emmanuel shooting) for the everyday tragedies that cameras don't find. 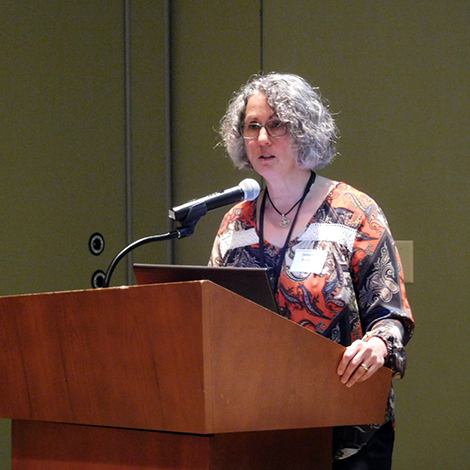 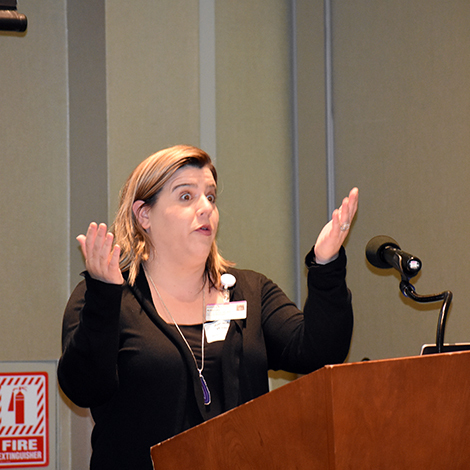 Roper St. Francis RN Amanda Biondi discusses the need for transitive services to meet people in their communities. 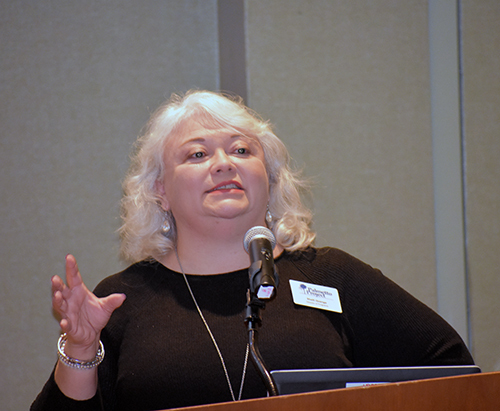 Shelli Quenga of The Palmetto Project gives a breakout session on access to care and the state of health insurance in South Carolina. 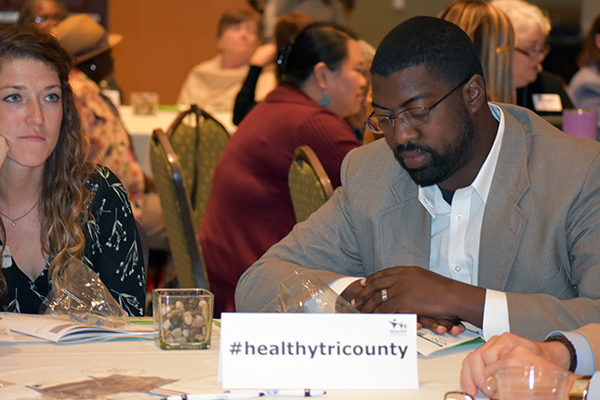 AccessHealth's Renee Linyard-Gary hands Sonia Donnelly a Starbucks giftcard for one of the best tweets of the day using #HealthyTriCounty. 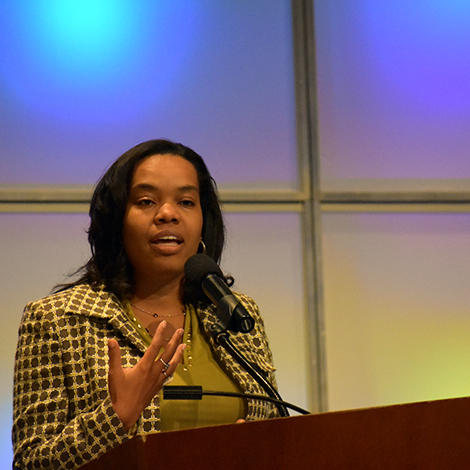 Bethany Johnson-Javois draws on her experience as CEO of St. Louis Integrated Health Network as well as a minister to share about race relations, health and how to affect substantial change. 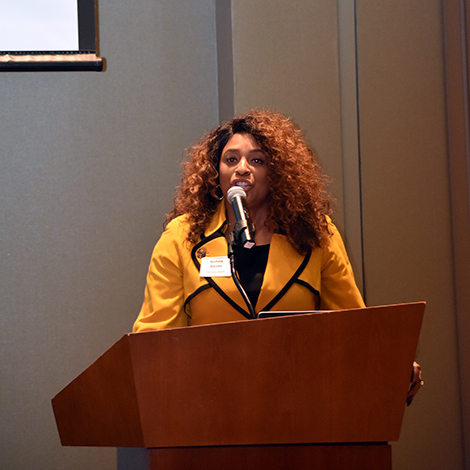 Patlmetto Health's Nicole Spivey presents Project READY (Realistic Eduction about Dying Young) and the work that is being done to try to curb the highest cause of death among teenagers: violence and injury. 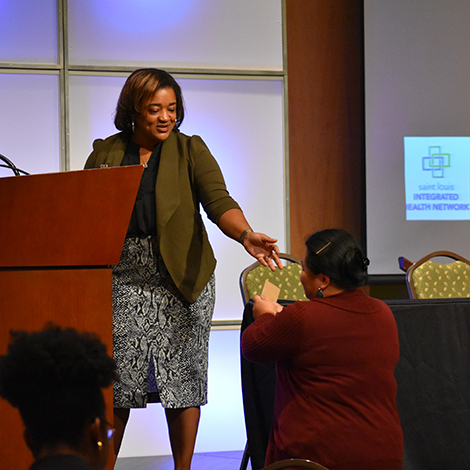 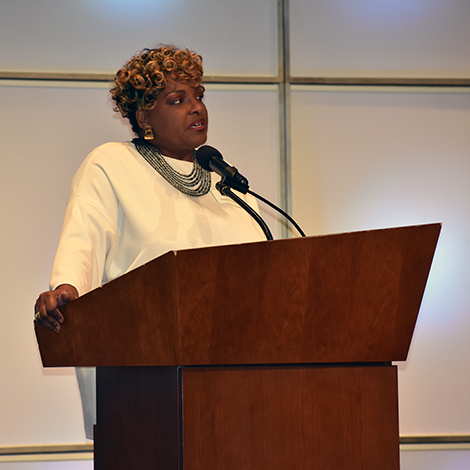 Roper St. Francis's Toni Flowers shared her own story of growing up and finding her voice in healthcare and led participants through a group activity. 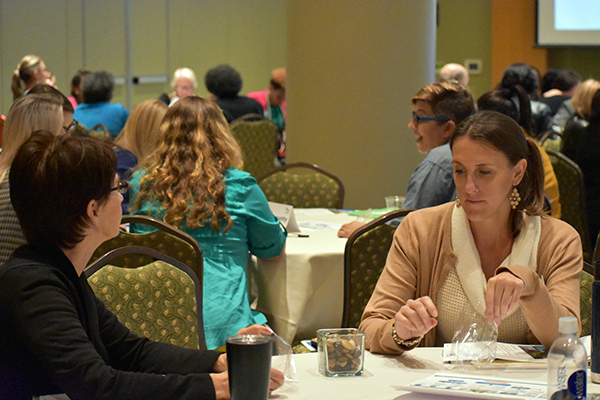 Lyndsey Marchman, Trident United Way and Margaret Peck, Healthy Plate Cooking, take part in a group activity. 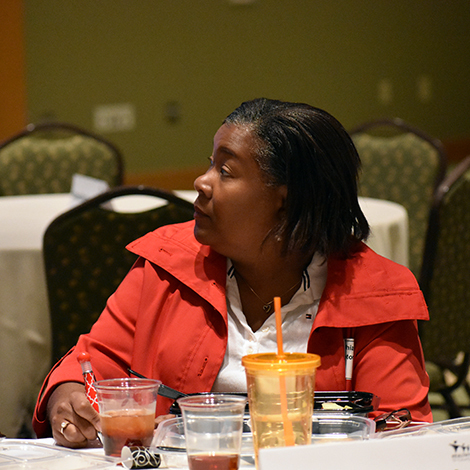 Amanda Nadel, who serves as the Dorchester Prosperity Center Specialist at TUW, listens as Toni Flowers reads statements aloud. 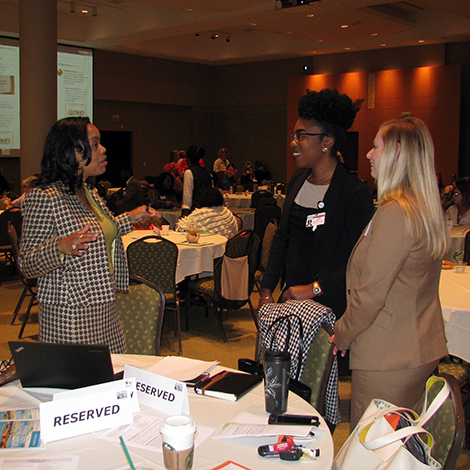 Participants put one rock in their bag every time they hear a statement that applied to them. 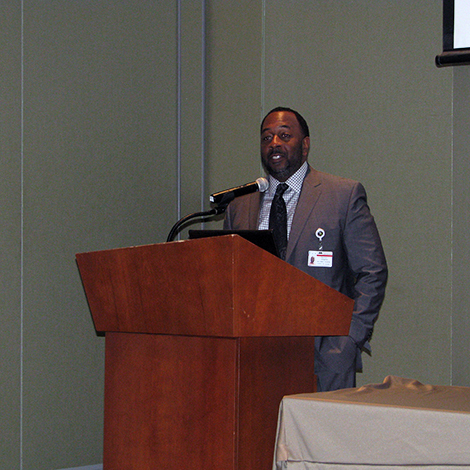 Select Health of South Carolina's Samuel Bellamy listens as Toni Flowers reads statements aloud. 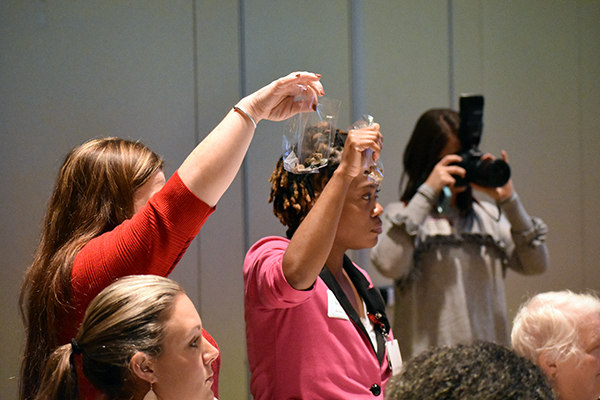 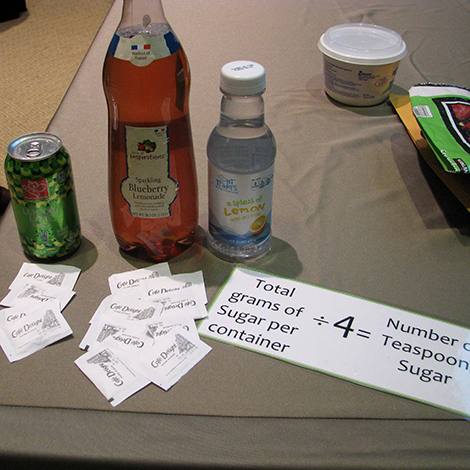 Participants put one rock in their bag every time they hears a statement that applied to them. 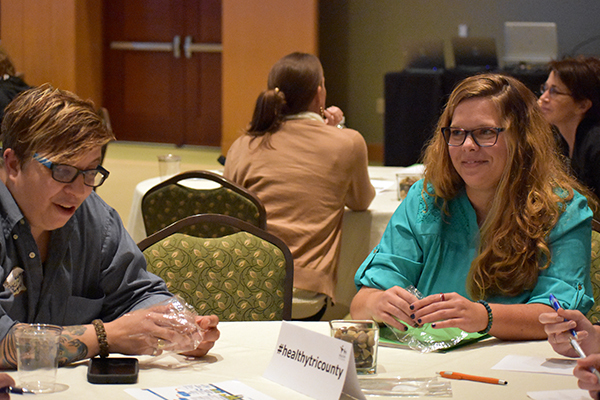 Participants hold up their bags of rocks at the end of the exercise to illustrate how environmental stresses and poverty weigh us down on our walk through life. 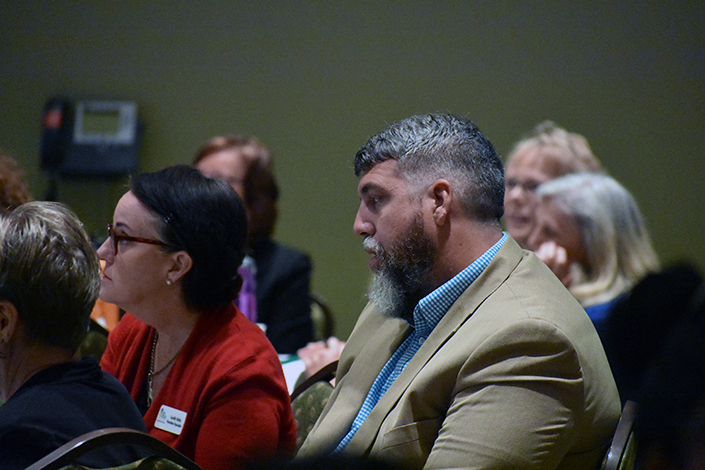 South Carolina Hospital Association's Rick Foster makes the observation that we can't ever presume to know how many rocks are in other people's bags. 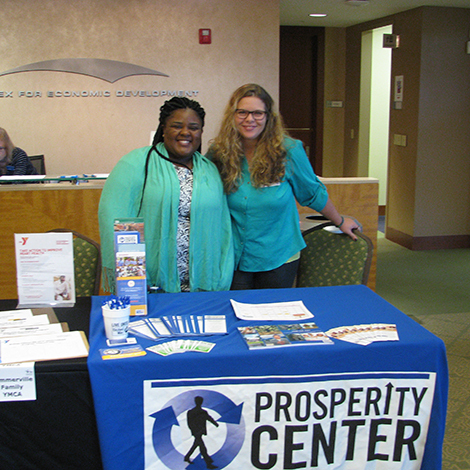 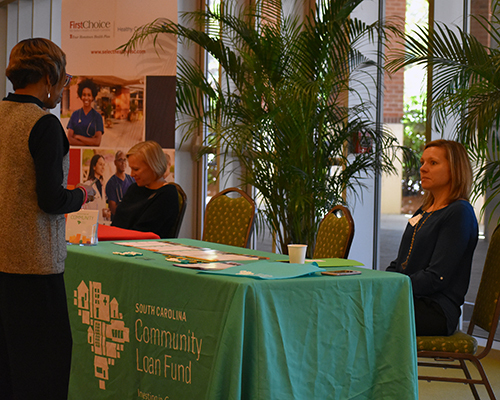 SC Community Loan Fund was one of several organizations with a tables at the health symposium to educate attendees about services.